A very short, relatively nondescript mountain deep in the central high San Gabriels. Best when hiked in combination with other peaks in the area. Mount Akawie is a simple, easy, unassuming bump on the map, just about a mile down the road from the much more interesting Winston Peak. Honestly, there really isn’t much to this peak — just a very short .7 mile ascent up an old, unmapped jeep road to a broad, flat summit. Aside from decent views of Waterman Mountain and a missing USGS Marker, there is nothing particularly remarkable about this mountain. I only recommend hiking this in combination with nearby peaks, either as a warm up or cool down stroll. 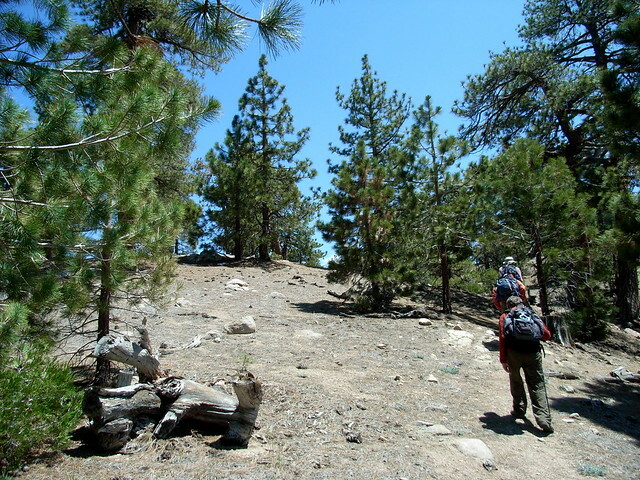 The summit of this peak is broad and flat, with plenty of places to stretch out and relax. If you’re looking for a simple, easy hike in the high country and don’t mind driving a long time to get there, then this is the trail for you. But honestly, if I wasn’t in the area and trying to bag 100 peaks for the Sierra Club, I would pass by this peak. Faint. The fire road to the summit is not on most maps, and has overgrown in many places -- but it's still fairly easy to follow. 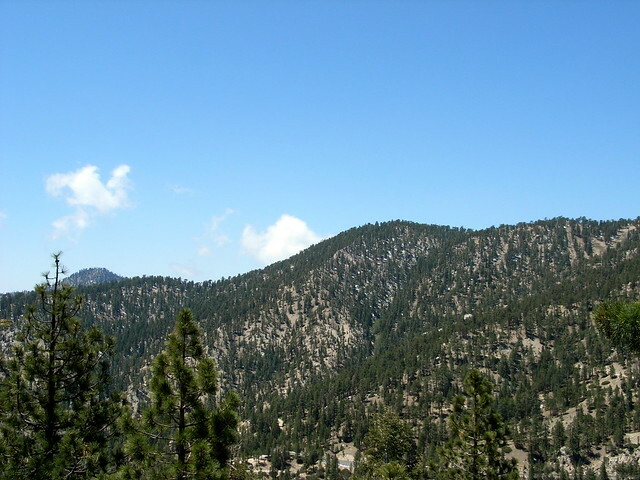 From the 210 in La Canada Flintridge, take the Angeles Crest Highway 33.6 miles. Just past Cloudburst Summit and the Waterman Mountain ski lift, park on the north side of the road at a gated dirt path. Display your Adventure Pass.